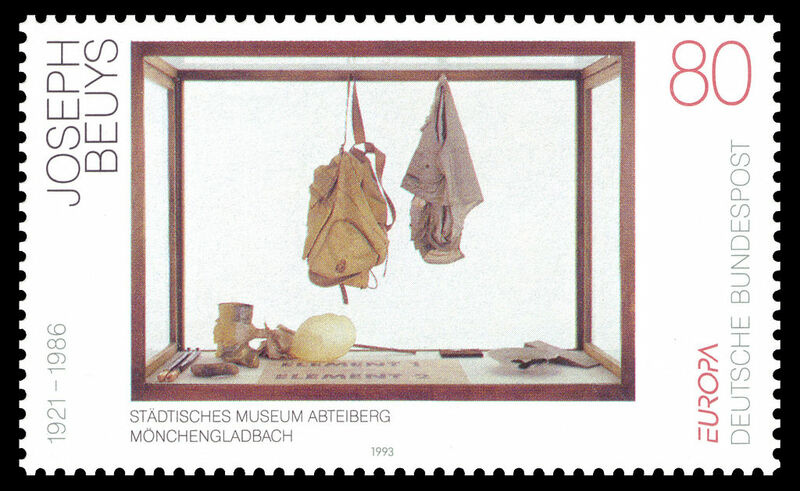 Apparently the German absurdist had a thing for postal ephemera. 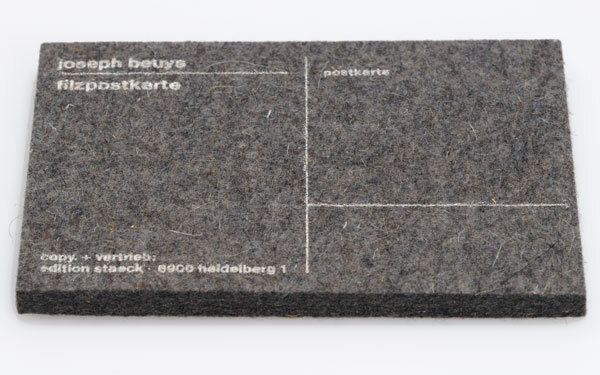 But Beuys' were impractically thick, and thus I suppose more artistic. 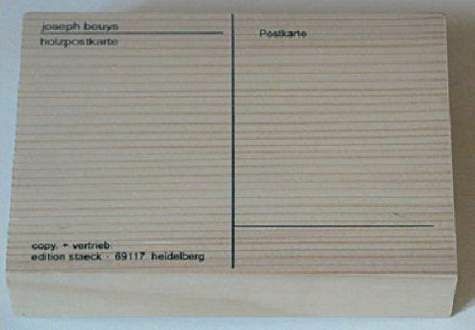 Also, the man who brought us the felt suit also offered the felt postcard. Or collections of odd postcard images in a boxed set! I know what you're thinking. 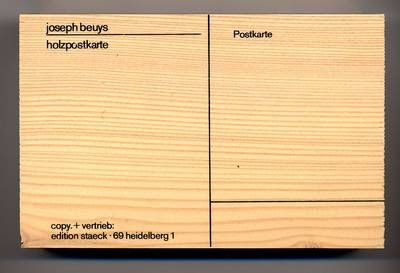 You're thinking, "Could I send a Beuys postcard with a Beuys stamp? The answer is yes. Yes you could. 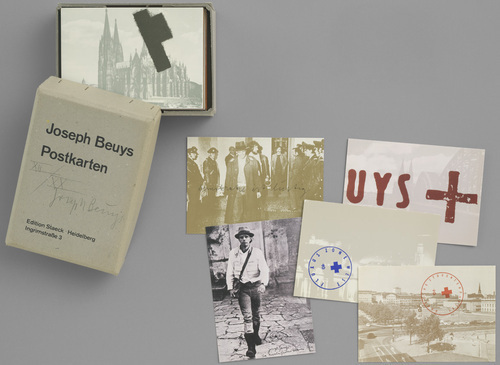 Beuys left the Infinite Art Tournament last October, going two-and-out against Bernini and Bingham. I don't remember him attracting any hostility, but with only four cumulative votes in favor and 24 against, his statistical showing was the worst of any Tournament artist to date. I saw some of his work in my recent blitz run on the MOMA, and the most excitement I got out of it was thinking "wow, I remember him from the Infinite Art Tournament!" I guess I got a vague sense of awkward sadness and distance from it, but that was about it. I think I like the stuff in this post better than the stuff that was in the Tournament. I did like the felt suits when we saw them at the MOMA. I certainly didn't hate his art, he just went up against two super strong artists. Who wouldn't want a felt postcard? At least that's how I feel or maybe felt after seeing this. Is it too late to cast a vote for De Chirico? I'm way behind here. He may have lost the tournament, but he gets a moral victory for succeeding in the postcard game.